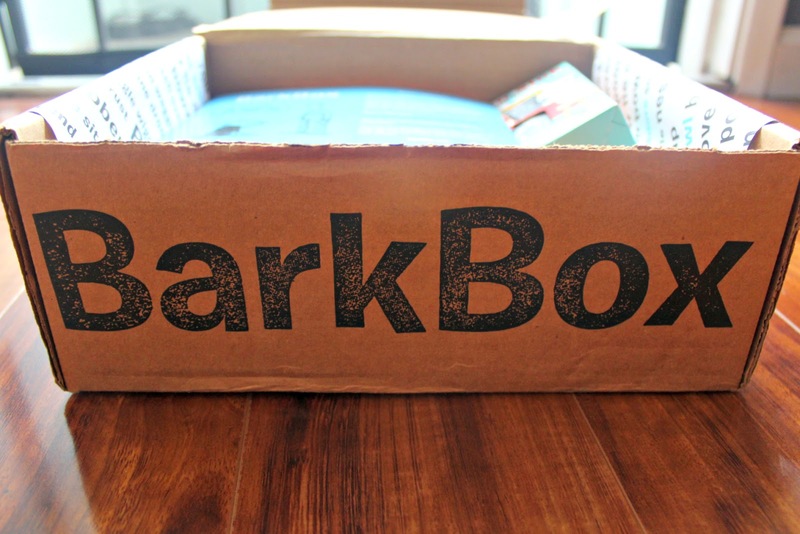 Box: Barkbox is an awesome monthly subscription service for dogs. 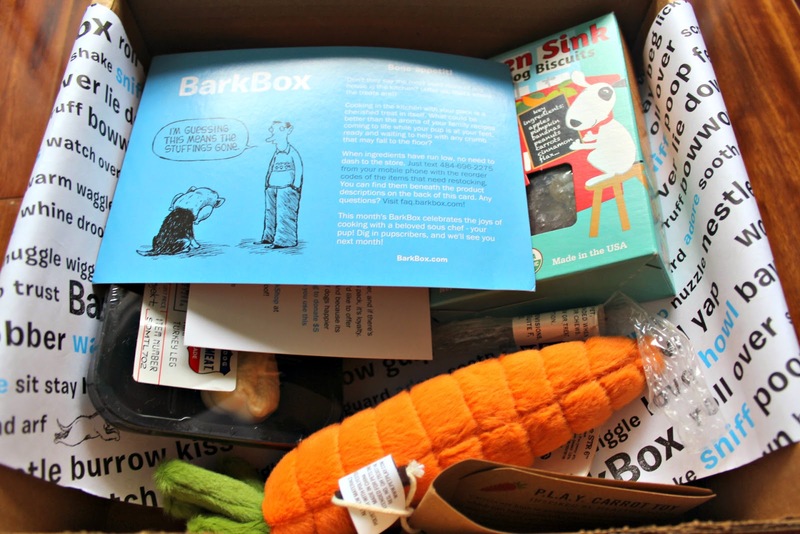 Contents: Treats, toys, and dog-related items based on your dogs size. 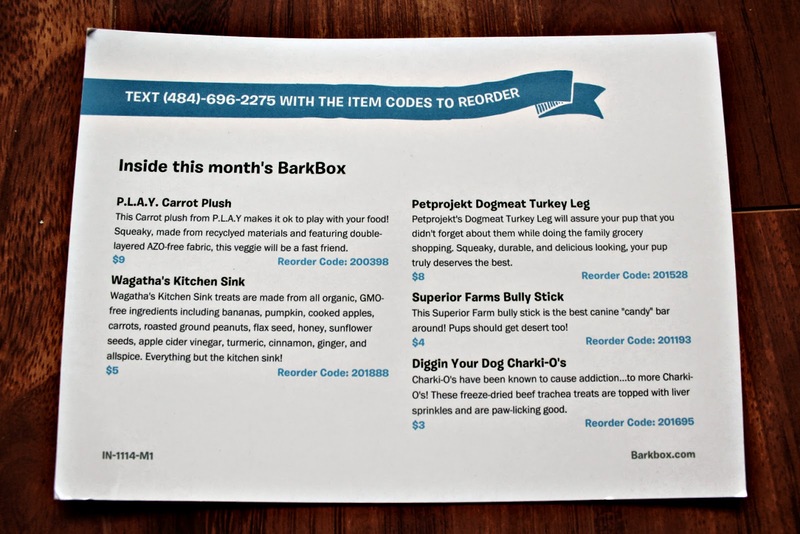 Items vary by month and are mostly full-size! Here is a look at the information card. 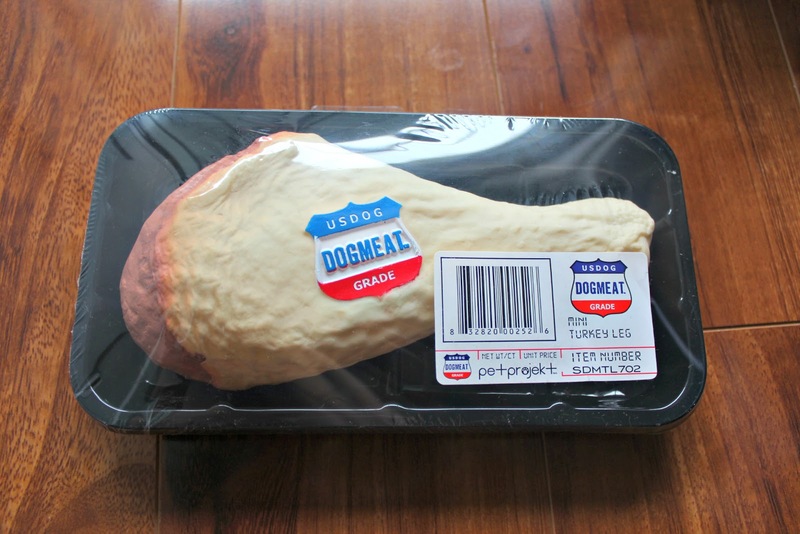 Obviously my dog really liked this, as it’s missing from the package! 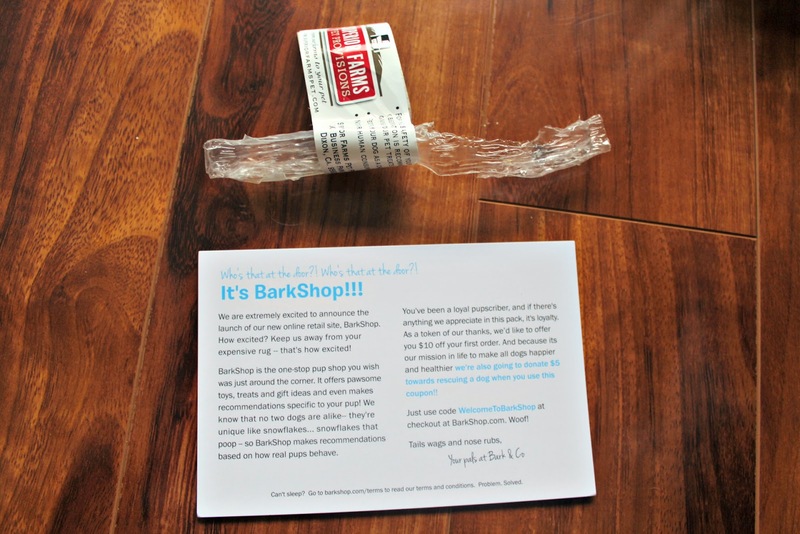 I’ve gotten a ton of these in the past (they are a frequent item in Barkbox’s), and my dogs always love them. This is such a clever brand name, and includes tons of ingredients, but only natural and organic ones! 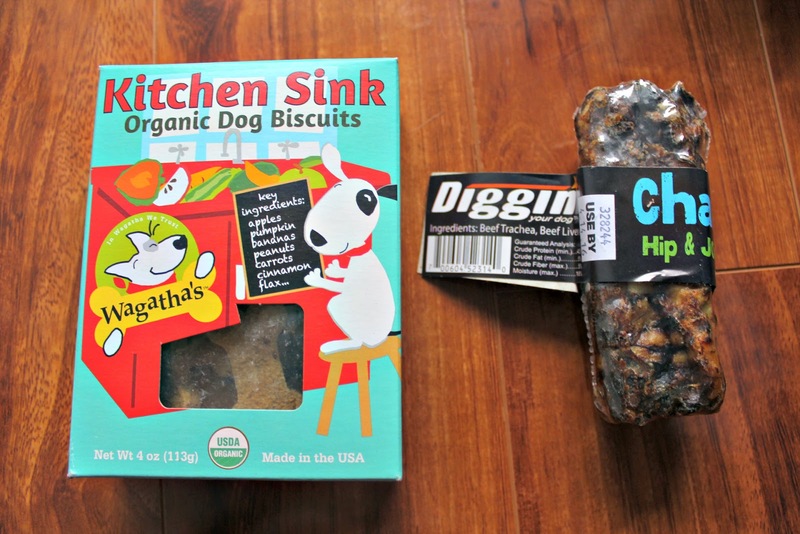 A healthy treat is such a nice change to the sometimes unhealthy dog snacks that you often see. This is so damn adorable. Everything about this toy is perfection, right down to the packaging! 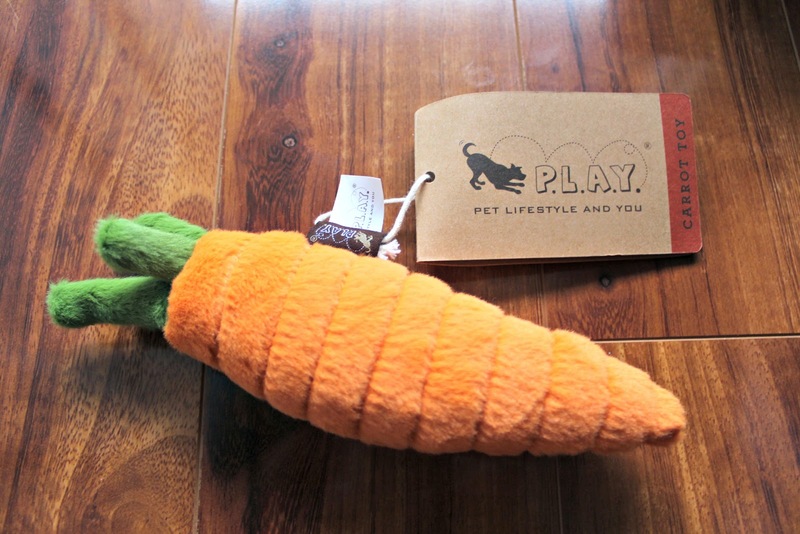 I thought I’ve seen it all with dog toys, but this takes the cake. Final Thoughts: The total value of this box was around $27, not including s/h. 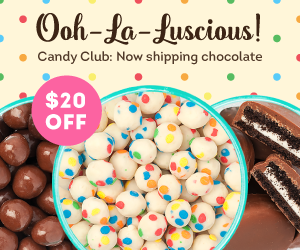 It was a little under the projected value of the box, but we got some really adorable toys in November, along with a bunch of awesome chews. 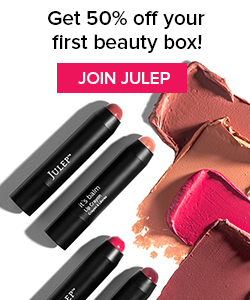 I’m definitely going to miss seeing the cute and creative items from this subscription, but hopefully I will resubscribe in the future.